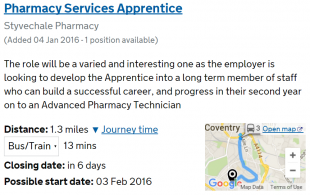 Find an apprenticeship - what happened next? The Find an apprenticeship (FAA) digital service has been helping people search and apply for apprenticeships online since December 2014. Work on the service didn’t stop there. We’ve been monitoring FAA carefully and making continuous improvements. 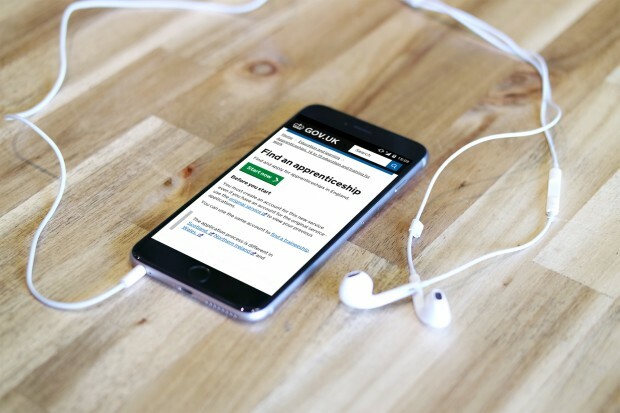 Find an apprenticeship was one of government's 25 exemplar digital services. In this post we’ll review some key stats and achievements from FAA’s first year, and take a look at what’s coming next. We carried out extensive user research for Find an apprenticeship. We interviewed 459 people and surveyed 2,853 to make sure we understood what users wanted from the service. The research paid off. On the previous apprenticeship service average user satisfaction was 58%. On the new FAA service it averages 89% and has reached a high of 95%. Over a million apprenticeship applications have been submitted through FAA since December 2014. The only way to keep customer satisfaction rising is to make continuous improvements to the service. Talking to users and developing the service don't stop once you've gone live. In many ways going live is just the start. We regularly seek user feedback and are always looking for ways to improve the service. On the previous system, which was delivered by suppliers, we were only able to make one or two changes to the service each year. In the last 12 months our in-house team has released over 90 improvements to the Find an apprenticeship service. FAA is on target to deliver significant cost savings per year. Savings are being achieved through bringing development in-house, reduced running costs, and reduced demand for more expensive offline support as users increasingly manage their applications purely online. We know that an increasing number of people choose to access government websites on mobile devices. The proportion of visits to FAA using a mobile device has increased since the service went live. In the last three months of 2015, 49% of visits were on a mobile device. Across gov.uk as a whole, this figure was 42%. One of GDS’s design principles is to understand the context in which people are using our services. For our relatively young user group, that context is increasingly mobile and touch-based. We designed FAA for mobile devices first. It’s often easier to make a service work for a small touchscreen then scale up to a monitor and keyboard, than it is to do it the other way round. Follow @SFAdigital on Twitter and don't forget to sign up for email alerts.